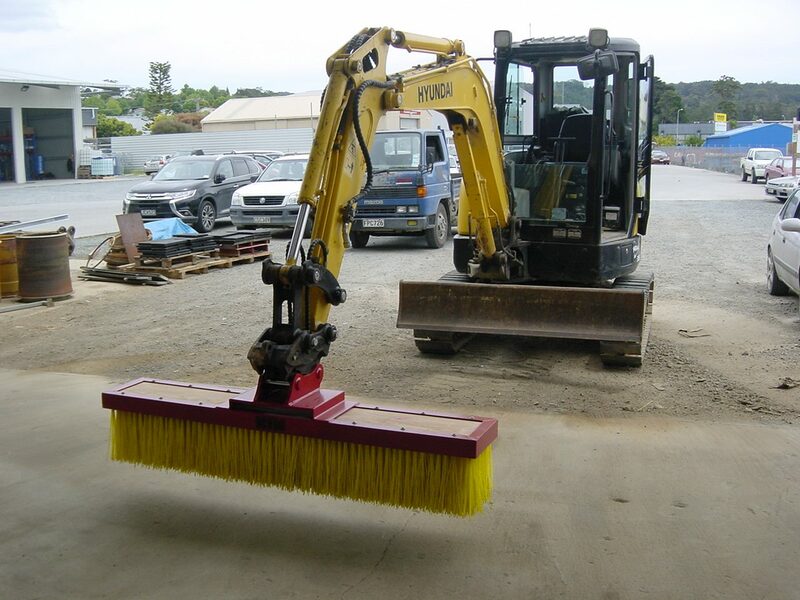 The Diggerbroom is a broom which comes complete with a hitch to fit to your specific digger / excavator. Suitable for diggers from 1ton till 8 ton. The ETN Diggerbroom produces approximately 75% less dust then a rotating broom and the wear on the bristles is significant less than on a rotating broom. The dimensions are 1800mm by 300mm. Pictured is the static broom for forward and backwards sweeping. We are also manufacture this broom with a 90degree swivel which has the capability to sweep sideways. https://www.youtube.com/watch?v=tWA9BTyBUbM Please read the questions and answers for this listing.